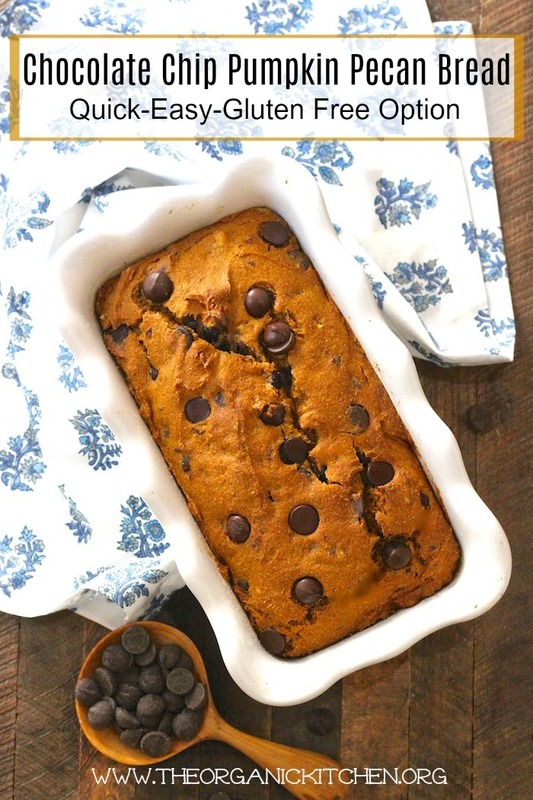 It’s not officially fall until the pumpkin bread is baking, so start preheating and get ready for the house to smell heavenly because we are popping this Chocolate Chip Pumpkin Pecan Bread perfection in the oven, stat! Sweet Spices, Chocolate and Crunch…Swoon! 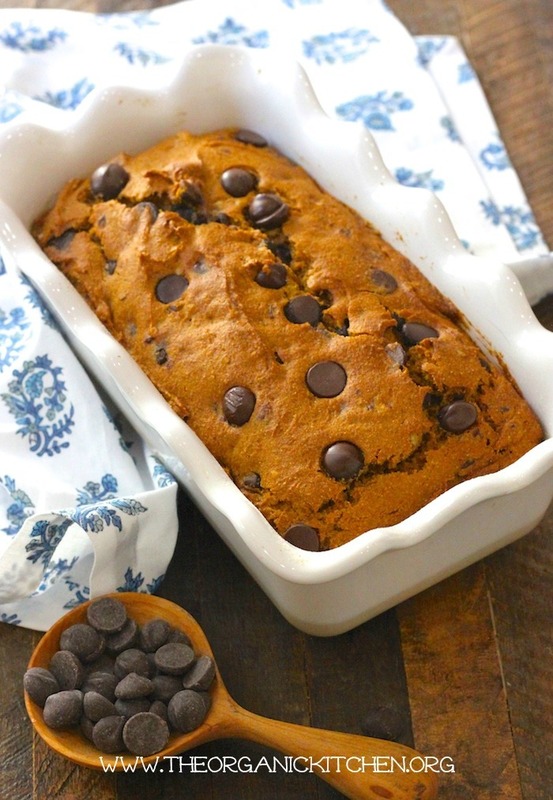 This perfectly textured pumpkin bread has hints of sweet cinnamon and nutmeg, rich dark chocolate and the crunch of salty roasted pecans. Wanna Make it Gluten Free? No problem! If gluten free living is your thang, you don’t have to sacrifice taste or texture. 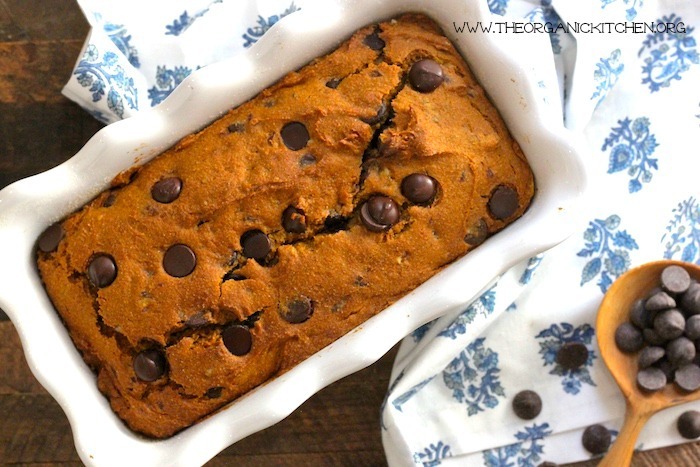 I use Gluten Free Jovial Pastry Flour, because it’s the best for baking and works perfectly in this decadent pumpkin bread. It’s also soaked for easy digestion! Tips and what you need: if you want to make this recipe gluten free I recommend Gluten Free Jovial Pastry Flour. You will need cinnamon, nutmeg, vanilla paste or extract, and two loaf pans.